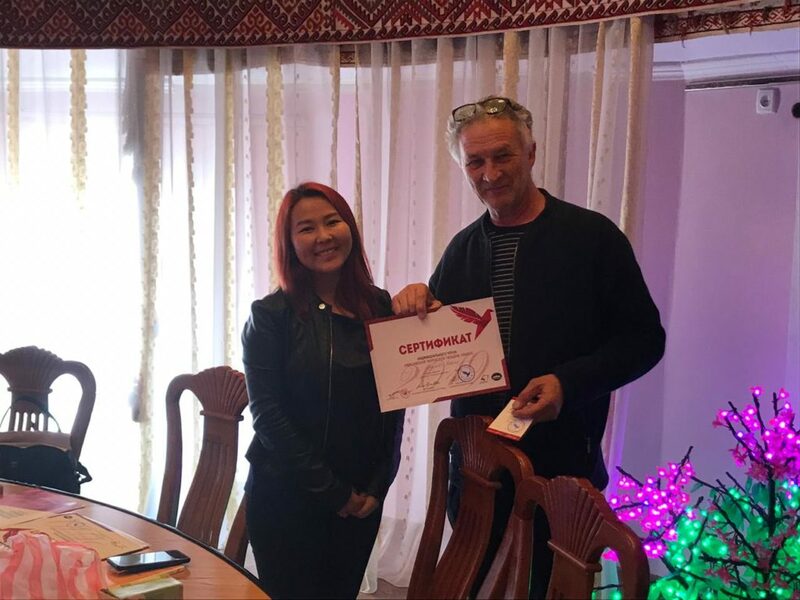 Eurasian Creative Guild (London) held a meeting with the presentation of ECG projects in Shymkent. 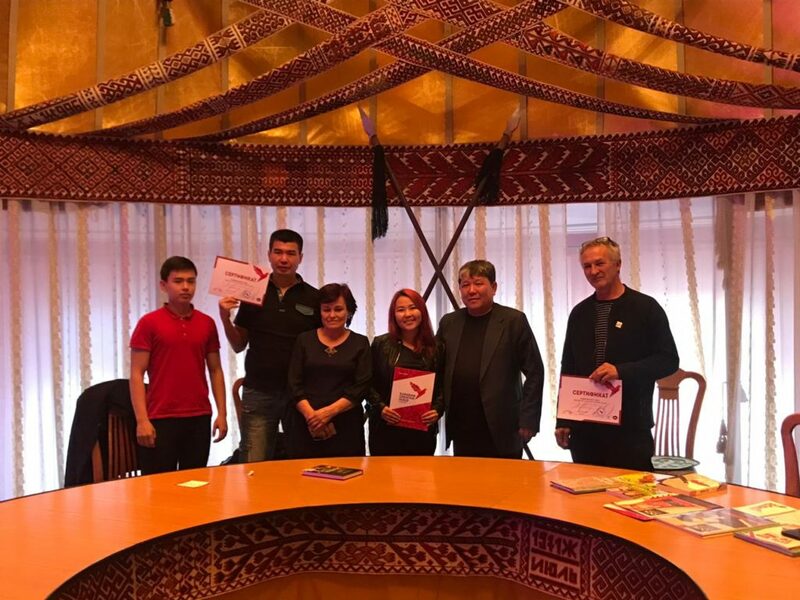 On March 30, Eurasian Creative Guild (London) held a meeting with the presentation of ECG projects at the Altyn Orda Gallery in Shymkent. Before the meeting, members of the Eurasian Creative Guild greeted us and showed their art galleries. The artist Ravil Abdulov demonstrated his studio, with dozens of his paintings, written in his entire life. 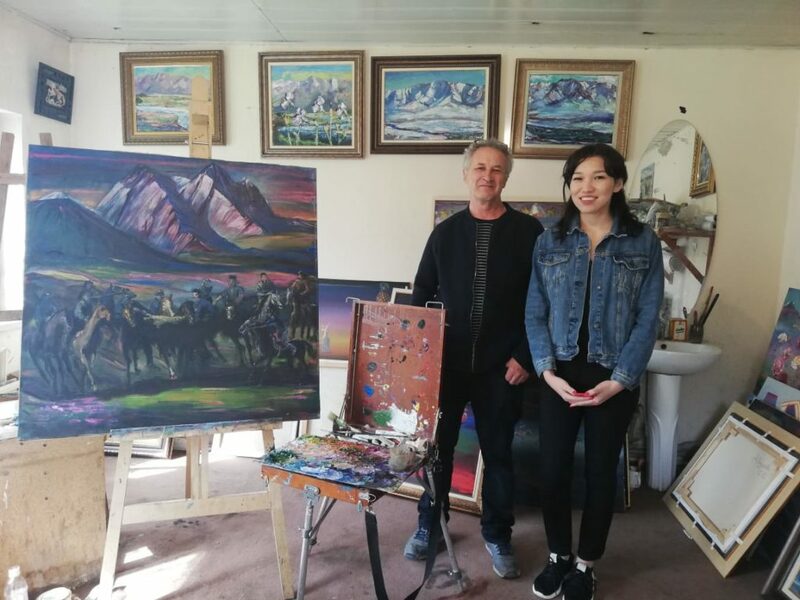 His incredible paintings cover different styles, ranging from abstract to traditional type of paintings with Kazakh games “Kokpar” and other traditions. 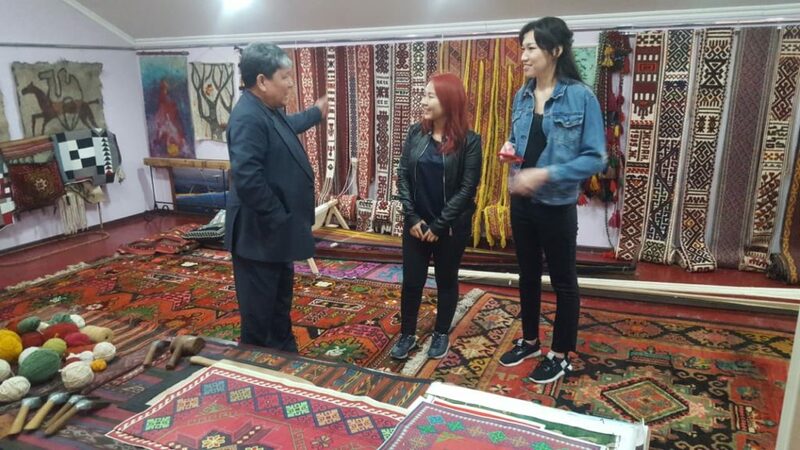 Ravil Abdulov also guided tour to the Museum of Fine Arts, which contains paintings by Kazakhstani artists, as well as unusual exhibits made in traditional Kazakh style. 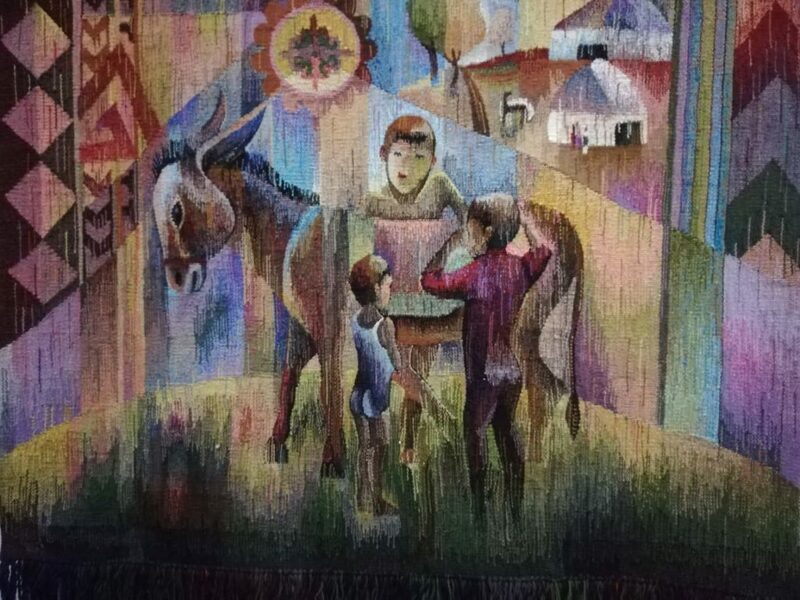 Rassilbek Estemessov, a graphic artist, demonstrated his exclusive works in the style of graphics and tapestries. His works illustrate a close-knit Kazakh family, Kazakh girls,and horsemen in traditional costumes, written in the style of “one line.” Then he showed his catalog and a book with fairy tales, based on his artistic works. 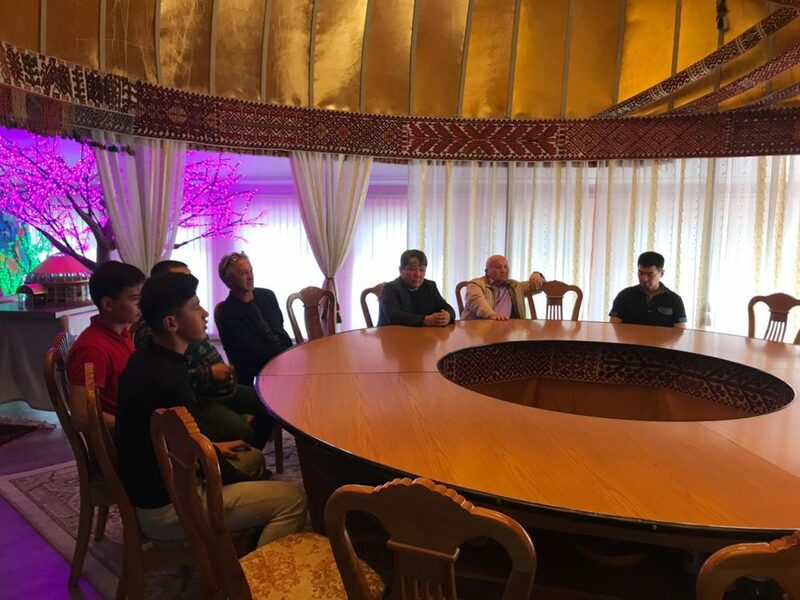 The Guild meeting was held in a traditional place which reminds real “yurt”, with people that sat at the round table under the shanyrak.Bolatbek Beisbekov, an artist, craftsman, chairman of the Union of Craftsmen, showed his art gallery filled with handicraft products in traditional Kazakh style, his paintings, as well as a blacksmith and workshop rooms to the members of the Guild. 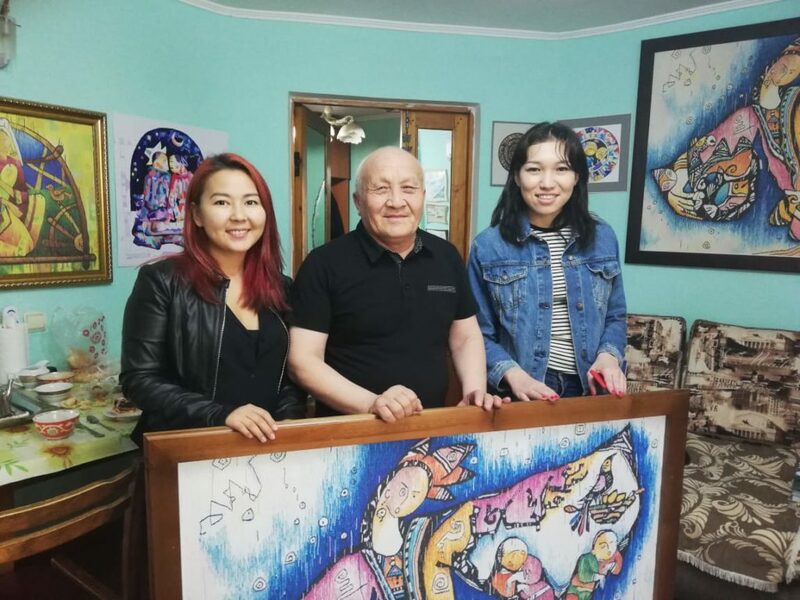 The whole Beisbekov family has been engaged in handicraft art, and they continue to keep this tradition and to pass their knowledge from generation to generation. 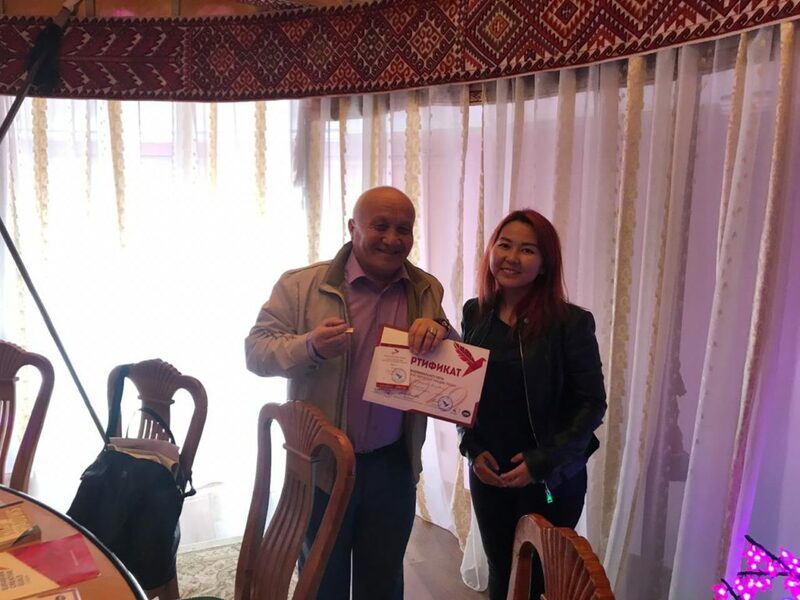 Ainura Berdikul,a global administrator, presented future projects and competitions in 2019, such as journalism competition in honor with Lev Gumilyov in the framework of the Open Eurasia 2019, the Open Eurasian Literature and Book Festival, the Literary Critic competition and the first Eurasian Film Festival in London ECG Film Festival. The official part of the meeting was concluded when guild members received their individual certificates. The artists Ravil Abdulov and Rassilbek Estemessov, as well as the writer Bakytzhan Aliyev gained their certificates. 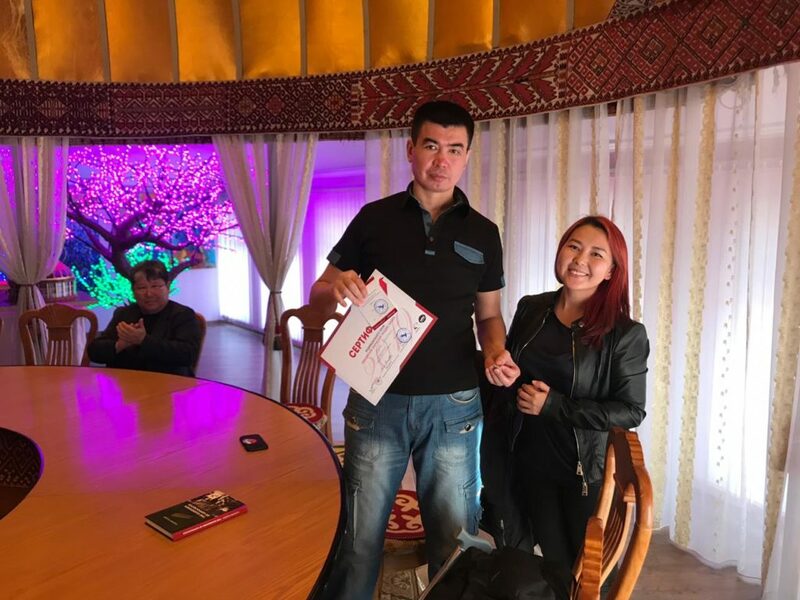 We express our deepest gratitude to Bolat Beisbekov for providing such an unusual place, as well as to the whole Beisbekov family for their hospitality.